For Club members at Pete Nance Boys & Girls Club being named Youth of the Month is a high honor. Every month a youth is recognized for modeling their leadership abilities. To learn more about Pete Nance Boys & Girls Club visit, www.bgcncg.com/petenance or call 706-920-1400. 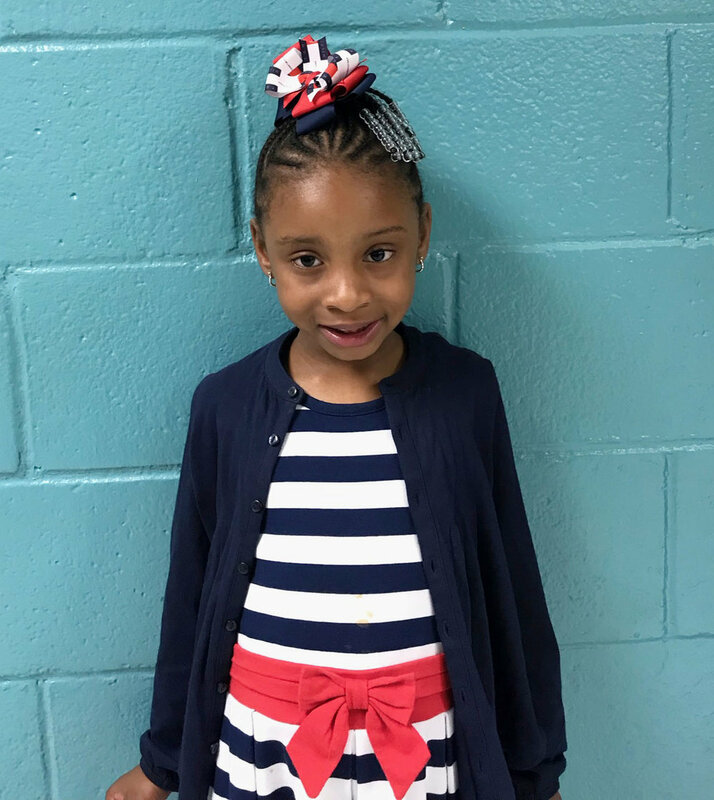 For the month of April, PNBGC named Annie Hall as Junior Youth of the Month. Pete Nance Boys & Girls Club members are getting first-hand lessons on giving back within the community. Recently, Club members visited the Legacy Health & Rehabilitation center to hand out sweet treats and talk with residents and clients. Members walked from room-to-room greeting residents and providing them snacks while having conversation. For Club member Larra H. the experience is personal. Richbow adds for the youth this is an enriching experience. Pete Nance Boys & Girls Club volunteer Lynn Wailes sees the Club as a village of mentors and opportunities for youth to grow. When asked about an impactful moment to choose from Wailes said watching a child’s spark light up. To learn more about Pete Nance Boys & Girls Club visit, www.bgcncg.com/petenanceor call 706-920-1400. 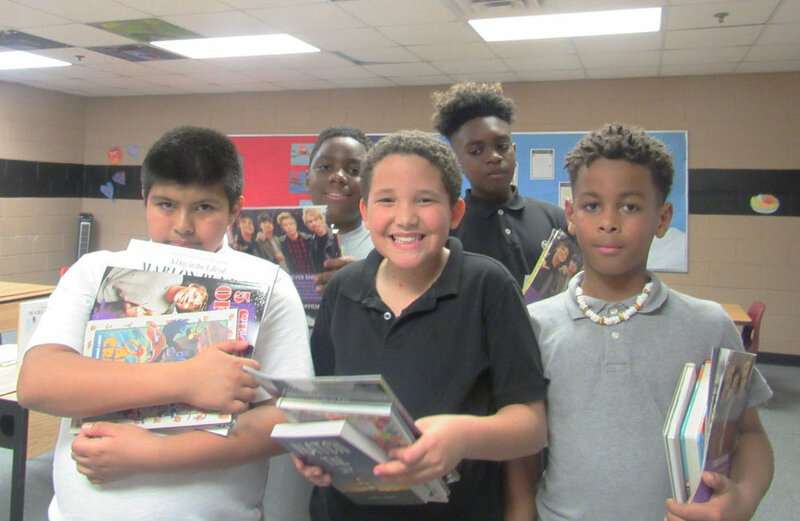 Pete Nance Boys & Girls Club elementary school age members celebrated Dr. Seuss’ Birthday with books and more books filling their imaginations with possibility. The birthday celebration was a part of Read Across America Week. The books were awarded to the Club through a grant that was submitted by the Pi Phi Ladies. 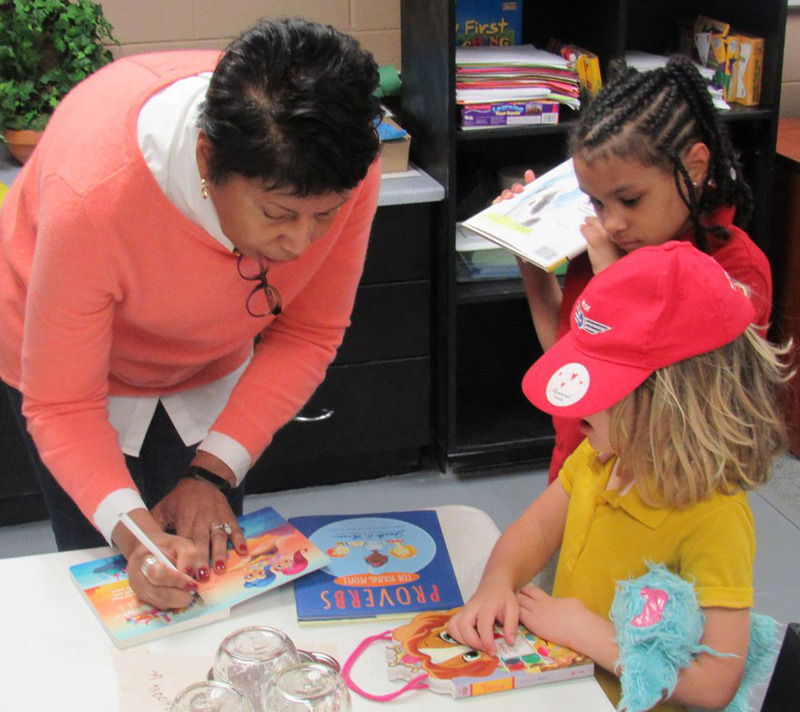 Each grade level had the opportunity to participate in a book fair, story time and an art lesson. The students also participated in story time and were spent art hour painting or drawing a piece of artwork that reflected something that they liked about their book. The remaining books that were purchased through the grant have been placed in a library for PNBGC members. For more information about Pete Nance Boys & Girls Club visit, www.bgcncg.com/petenance 706-920-1400. The Boys & Girls Club of North Central Georgia is proud to announce the promotion of Brad Parr to the position of Director of Operations. Parr will assume his new role within BGCNCG April 1, where he will be responsible for overseeing membership safety, staff development and management, supervision of Club Directors and budget management. His role will be in support of the execution of programs to include Character & Leadership, Education & Career Development, Health & Wellness, Teens, Sports & Recreation and the Arts. “Operations are the lifeline to any organization. We value our commitment to the communities we serve and have become good stewards of change and development. In order to effectively lead, we must effectively grow. With growth comes the obligation of providing a safe & secure environment and fostering educational outcomes that change the trajectory for our youth.” Bob Mackey, BGCNCG, shared. In 2016, Brad Parr was hired as the Education Coordinator for the Pete Nance Boys & Girls Club under the direction of Bob Mackey. There he was responsible for facilitating and implementing academic programming such as Power Hour, Summer Brain Gain, First Tee Program, Volunteer Management, and the Novelis Partnership/Lake Project. In 2018, Brad was promoted to Club Director for the Pete Nance Boys & Girls Club where he was able to work with staff to bring in new programs, create community partnerships and maintain the strong relationships within the community, and build up the Youth of the Year Program. Brad Parr is a graduate of Sequoyah High School, attended Georgia College and State University where he obtained his Bachelors’ Degree in Community Health and a Masters’ Degree in Recreation and Sports Administration from Western Kentucky. During his senior year, he worked for Communities in Schools as an intern. He oversaw volunteers and tutored students throughout each week. After graduating, Brad was named a Site Coordinator with Communities in Schools where he planned and implemented school-wide programs and tutoring services for students who were likely to drop-out based on academics, behavior, or demographics. Brad has been able to empower our youth to share their stories and use their platform to create change and plan for their future. The Pete Nance Boys & Girls Club is proud to announce Mr. Stacy McClendon as Director. McClendon is no stranger to the Pete Nance Boys & Girls Club and the Boys & Girls Clubs of North Central Georgia, as he has held various part-time positions over the course of a four-year period. For BGCNCG President & CEO, Bob Mackey bringing Mr. McClendon into the movement was an obvious choice. McClendon is a graduate of Greene County High School where he excelled as a student and acquired a love for science. In high school, he played basketball for three years and was offered two college scholarship opportunities to continue his education at Georgia College and Augusta State University. Considering his options, McClendon decided to attend the Professional Career Institution in Norcross, Georgia where he earned a degree in Hotel and Restaurant Management. After completing his degree, he returned to Greensboro and dedicated 20 years to the Lake Country. His professional profile attracted an opportunity at Reynolds, which capitulated him to his dream job -a hotel manager for the Ritz-Carlton Hotel at Lake Oconee. During his time in hotel management at Lake Oconee, his focus remained on youth development. He cultivated a program for Greene County High School students to offer them an opportunity to experience workforce development at Reynolds Lake Oconee. McClendon has won numerous high-profile awards, such as the Five Star of the Year Award and a Malcolm Bridge Award nominee by the Ritz-Carlton Hotel Company. McClendon's managerial experience also includes working in real estate with the Reynolds Family where he learned a great deal about salesmanship, community service and marketing. He spent some time as a personal assistant, which he used to increase his management skills. What has centered McClendon’s drive throughout his 20-year career in Lake County are the youth. He observed a trend of youth falling short in their educational pursuits and decided he had a responsibility to be a part of the change. He donated his time, talent and treasure back to his hometown. After spending more time in the community, McClendon transitioned to volunteering with the Boys & Girls Clubs of North Central Georgia and for four years under the guidance of Mr. Bob Mackey, serving as a dedicated staff member at the Pete Nance Club and the Interim Director of the Madison-Morgan County Boys & Girls Club. Currently, McClendon is the assistant girls’ basketball coach at Lake Oconee Academy and the Director of Player Development. His hobbies include: spending time with his family, attending church, watching movies, reading, swimming, playing basketball, and cooking. He is also currently pursuing a degree in Sports and Recreation Management with a minor in Psychology. Mr. McClendon believes it is very important for all youth to pursue their dreams passionately and take their education seriously by being engaged in educational activities and taking full advantage of the Pete Nance Boys & Girls Club because it is one of the keys to their overall success! Stacy been married to his best friend Janet, for over 22 years. He is blessed to have three amazing children Stacy, Destiny, and Ryan. Stacy McClendon will assume his duties with the Pete Nance Boys & Girls Club effective April 1, 2019. Brad Parr, the current director has been promoted to Director of Operations for the Boys & Girls Clubs of North Central Georgia. To learn more about Pete Nance Boys & Girls Club visit, www.bgcncg.com/petenance or call 706-920-1400. You can contact Stacy McClendon at smcclendon@bgcncg.com. For the month of March, PNBGC named Ariana R. as Junior Youth of the Month. Reading is a crucial part of childhood development and according to the National Education Association, reading doesn’t just impact verbal and written skills, but mathematics as well. With these statistics in mind, Pete Nance Boys & Girls Club members are currently engaged in a fun-filled program where children practice reading to their best fur friends. 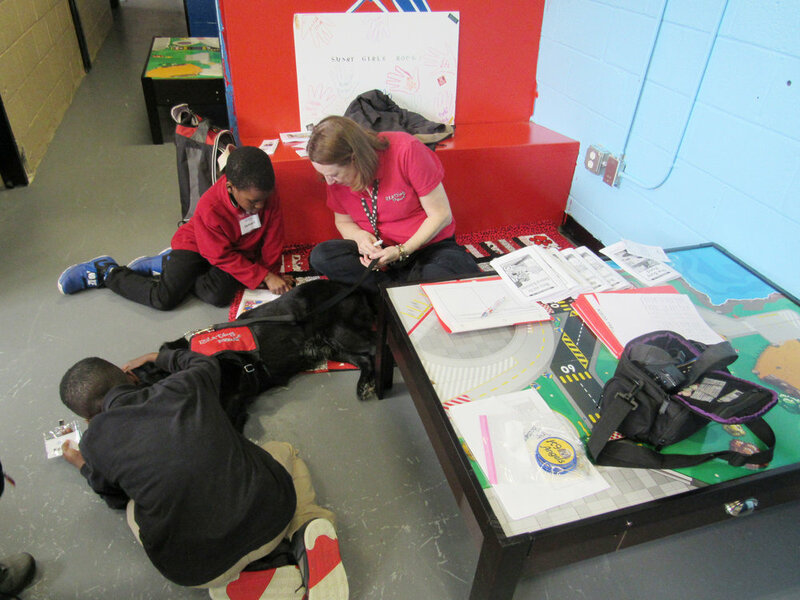 K-9 Angels is a reading program with Canine Assistants service dogs and volunteers geared to help Club members practice reading skills and become more confident in their ability to read. Club member, Kayden D., shares she loves reading books to her favorite dog Memphis. “Memphis loves any book I read to him and it’s a lot of fun to reading to the dogs,” she shared. Richbow says that since the K-9 Angels program arrived to Pete Nance Boys & Girls Club, Club members have exceeded their growth in NWEA MAP reading. Currently, 80 percent of members participate in this program. To learn more about Pete Nance Boys & Girls Club, visit www.bgcncg.com/petenanceor call 706-920-1400. Pete Nance Boys & Girls Club volunteer Carol Kuhn sees the Club as an asset to Greene County’s community its families – that’s why she’s committed to being in the youth’s lives at the Club. Whether its tutoring during Power Hour or listening to younger Club members share their dreams, Carol knows it’s important to be present. When asked about an impactful moment to choose from Kuhn said it’s every day moments that tug on her heart strings. Volunteering at the Club, for Kuhn, helps offer moments like this to Club members every day and gives members and even larger support group of adults cheering them on. “This Club is building better futures and instilling character-building qualities into its youth,” she shared. College is an important next step for many teens approaching their junior year of high school. For the Pete Nance Boys & Girls Club teens and tweens college preparation is a daily part of their conversation amongst peers and staff members, as a part of the Diplomas 2 Degrees program. During their winter break, youth of PNBGC visited Georgia College. For Club member Annie H. walking around Georgia College’s campus was exciting, as she imagined what being a college student would look like after graduation. “We got the opportunity to walk around campus, which was exciting because we got to see college students going to classes and hanging out around campus. The tour guide showed us the dorm rooms, apartments, classrooms, recreational center, library and The Max,” she shared. More importantly Annie noted that she enjoyed learning how you pick your classes and where you can receive tutoring. “It’s important to me to visit colleges, so I can have ideas about going to college and what college life is like,” she said. Other Club members enjoyed the in-depth look at the cost for college, which instilled the important of obtaining good grades in high school for potential scholarships opportunities. Ultimately, the goal for college visits are to help PNBGC teens and tweens, not only dream about their future, but discover ways to work toward their goals. “You are the lifeblood of what we do,” Mike O’Neal, Pete Nance Boys & Girls Club Advisory Board President said to over sixty donors and volunteers gathered at Da Corrado Ristorante. The occasion was to celebrate the gifts given in 2018 and the gifts collectively the community can give by staying present in youths lives in 2019. O’Neal shared that he knew each of those gathered shared this sentiment and commitment to youth. The luncheon was comprised of businesses, donors, volunteers and staff members of Pete Nance Boys & Girls Club. It was the largest amount for PNBGC Donor and Volunteer Luncheon, which O’Neal said was a testament to the growth of those involved and seeing the need for changing lives in Greene County. Brad Parr, PNBGC Director, shared a few words before awards were given at the celebration luncheon. Parr stressed the importance of community backing and thanked those present for being part of an exciting year at PNBGC. Past PNBGC Advisory Board President, Jim Liebeck, took over the celebration to present awards. Last but not least, Da Corrado Ristorante was honored for stepping in to help continue facilitating Thursday Dinners at the Club where youth get to experience different cuisines. Ricquaria Griggs, the 2019 Boys & Girls Clubs of North Central Georgia Youth of the Year, has been busy preparing for her state competition debut in Atlanta where she’ll compete against Boys & Girls Club members from across Georgia. In order to qualify for the state competition, Ricquaria was required to complete three essays, collect three recommendation letters, prepare a 3-minute speech, and complete an extensive packet. On March 4th, she will give her speech and participate in a 12-minute interview for the chance to be named Boys & Girls Clubs of Georgia’s Youth of the Year. In addition to her $1,500 of scholarship funding she has already been awarded, she will have the chance to win up to $7,000 of additional scholarship funds if she is named the state winner. In preparation, Griggs has been giving her speech to local organizations in Greene County and amongst her Club peers. She’s also been working with community members on her interview skills. To learn more about Pete Nance Boys & Girls Club or Youth of the Year Ricquaria Griggs, visit www.bgcncg.com/petenance or call 706-920-1400. Can you remember the first time you saw a budget for your money? How about using a calculator to figure out how much to tip at a restaurant? What about forming a business plan as a teenager? That’s exactly what the teens and tweens of Pete Nance Boys & Girls Club are doing right now – learning how to build a business. 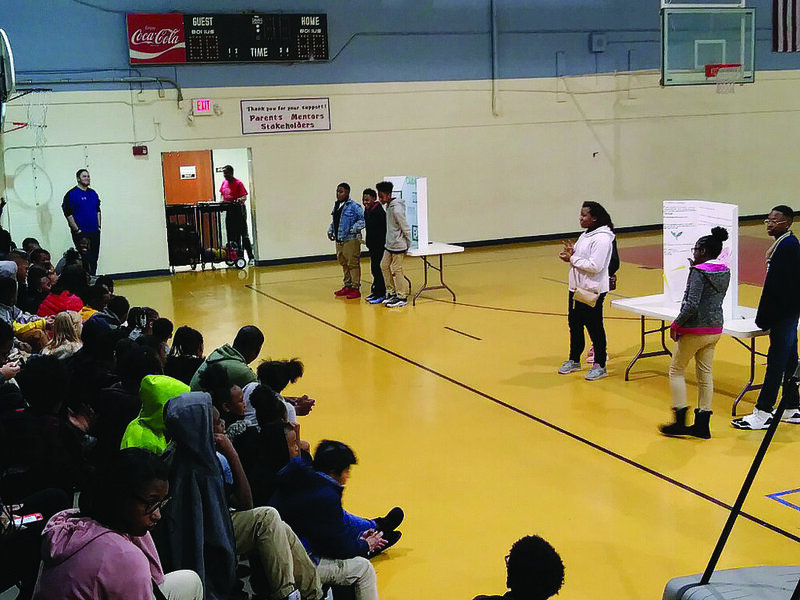 As a part of a financial geared program, Money Matters, is underway at PNBGC to help educate teens on the importance of money management and wise choices. Recently, the teens presented their very own entrepreneurship ideas to their peers. Businesses the teens created ranged from a smart watch that checks blood sugar levels for diabetes patients and a security system for your smart phone. Christian S, an seventh grader at PNBGC, said his favorite part about this project was “brainstorming ideas to make a resource that can help people with improving their health." The Pete Nance Boys & Girls Club teens & tweens will continue their Money Matters courses for the remainder of the school year. To learn more about PNBGC, visit www.bgcncg.com/petenanceor call 706-920-1400. For Pete Nance Boys & Girls Club education is a critical component of a youth’s growth into a successful adult. Club members are encouraged to pursue their passions while at the Club and recently for three Pete Nance Club members their efforts paid off with big wins at the Green County School System Science fair. Club member Jamiyah B. was awarded first place for her project on Hydroponics vs. Soil and Club members Tiejah D. and Shayla P. were awarded second place for their project on Sinkless Sand. These three Club members have advanced to the Regional Science Fair at Northeast Georgia RESA, located in Athens, GA.
Jamiyah said that this year what’s impacted her most so far has been the Club’s help in encouraging her to be strong, not back down and go after her goals – like winning at the Science Fair. Cynthia Sumer, who is the education coordinator for Pete Nance Boys & Girls Club, is over joyed for her Club members accomplishments. To learn more about PNBGC, visit www.bgcncg.com/petenance or call 706-920-1400. Ayal Latz, a2b Fulfillment owner, recently spoke with 11 Alive about the company’s partnership with Pete Nance Boys & Girls Club. Watch the video! Soon Pete Nance Boys & Girls Club members & non-members will be able to unlock their creative side through the game of chess, as Kristine Mapp will bring her chess teaching skills to the Club.